Healthy children mean a healthy future. But when one in five Rhode Island children has a diagnosable mental illness, what are we doing to ensure our children’s mental health? In Kids’ Mental Health: A Road Map to Stronger Minds, four distinct voices in the field examine the answers: a national leader in child psychiatry, a state-level director, a parent advocate and a psychiatrist who works with vulnerable youth. The panelists who will help parents and providers navigate Rhode Island’s mental health care system for children are Dr. Nicole Alexander-Scott, director of the Rhode Island Department of Health; Dr. Gregory Fritz, president of the American Academy of Child and Adolescent Psychiatry and academic director of Bradley Hospital; Dr. Elizabeth Lowenhaupt, child and adolescent psychiatrist, Lifespan Physician Group/Rhode Island Hospital, and president of the Rhode Island Council for Child and Adolescent Psychiatry; and Lisa Conlan Lewis, executive director of the Parent Support Network of Rhode Island. Presented by the Rhode Island Foundation, in conjunction with Rhode Island Monthly magazine and Rhode Island PBS, the conversation was inspired by “Child, Interrupted,” a story in the May issue of Rhode Island Monthly that delves into the state’s pediatric mental health care system. As the article reveals, children’s mental illness touches one in five children in Rhode Island, and is a problem that affects individual families and the state as a whole. 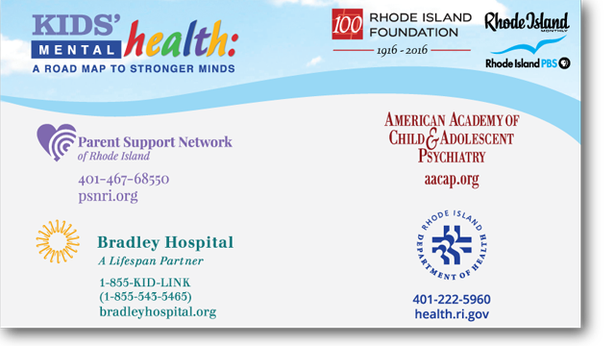 “Rhode Island is home to the first - and nationally-acclaimed - hospital dedicated to child and adolescent psychiatry, yet still faces a dire shortage of child psychiatrists,” said President and Publisher of Rhode Island Monthly John J. Palumbo. “Rhode Island is still a place where health insurance and insurance providers dictate the type and length of care. It’s still a place where the child and adolescent mental health system remains in crisis. We’re pleased to be collaborating with the Rhode Island Foundation and Rhode Island PBS to bring these critical issues to the table for Mental Health Awareness month,” Palumbo added. 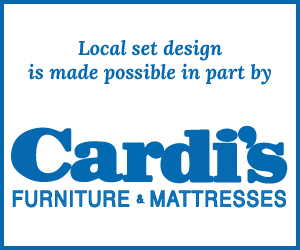 Moderated by Casey Nilsson, associate editor at Rhode Island Monthly and author of the article, the discussion was taped before a studio audience of parents, mental health advocates, and members of the community. In the final quarter hour, panelists answered questions from the audience, and questions submitted in advance by email. Parents, caregivers, educators, and other interested parties are invited to contact the health resources and organizations listed. The Parent Support Network offers peer mentors —parents of children with mental illness — who can consult about strategies for working with schools, advice on treatment options, and resources available through the organization.